Alright folks! 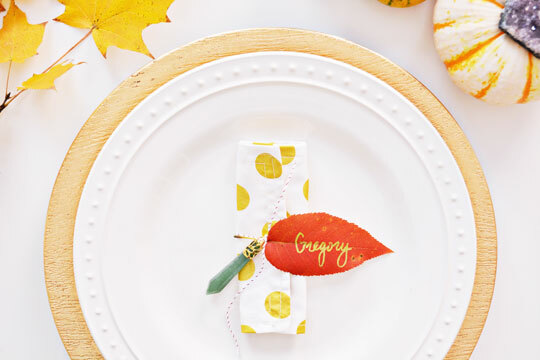 Thanksgiving is over and now we can all officially start celebrating and creating for the best holiday of the year! 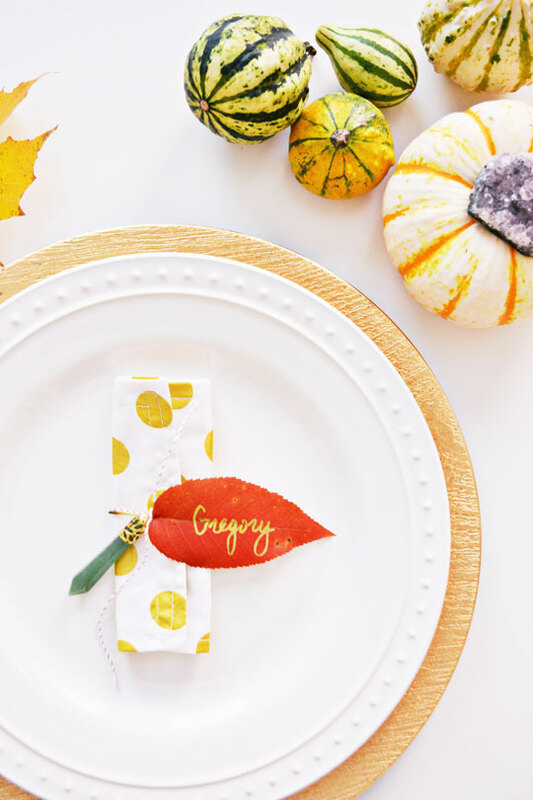 We’ve already shared a handful of Christmas DIYs here this year but now we’re ready to jump all in with tons of festive ideas for gifts, decor and food. I seriously never know how to hang up stockings! How is it normally done?! My family always set our stockings out in a certain spot of the living room and all our gifts were laid out there as well so we didn’t really hang them except as decor beforehand. 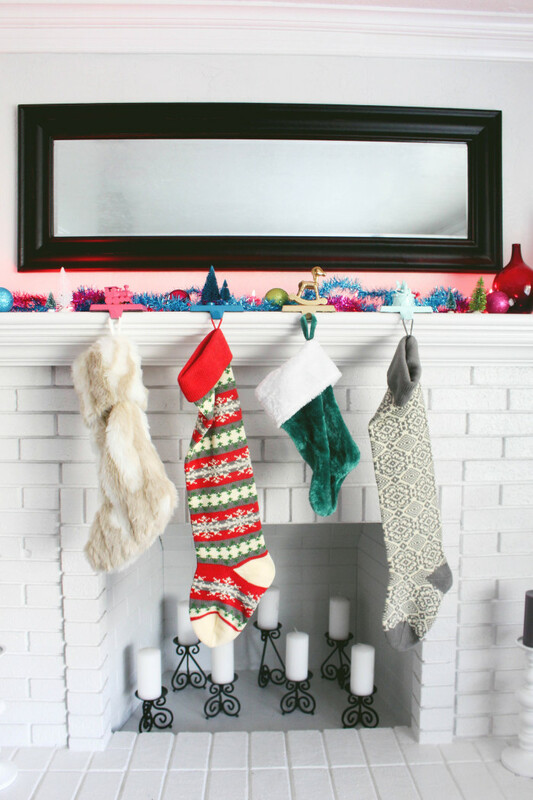 While I love the idea of having stockings so full and heavy that they can’t be hung :) I also love the typical hanging over the fireplace scene so I’m always on a hunt to figure out the best way to make this happen. 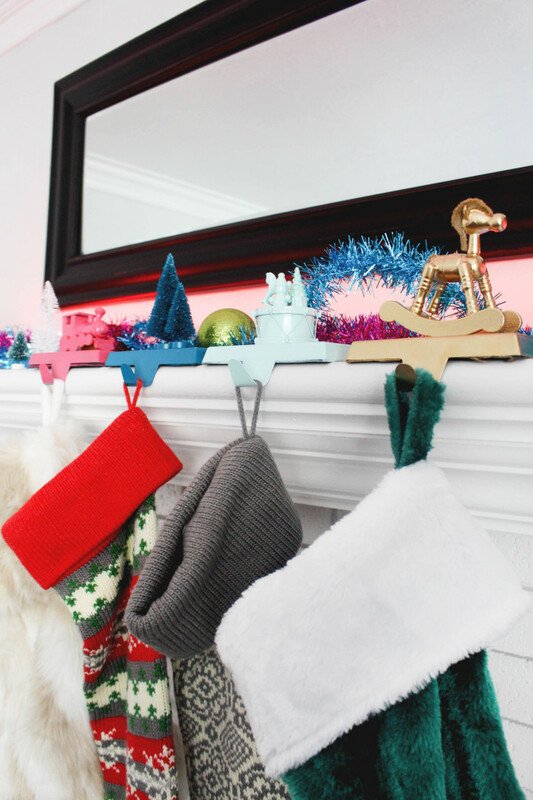 This year, I created these minimal and modern colorful toy stocking hangers and they were just what I was looking for! I Absolutely LOVE the idea of advent calendars! To me, it helps slow down the season as you patiently wait for each day to come and reveal your new treat/present/task/reminder. When we were kids we always, always got the chocolate ones. I don’t think I even knew any other kind of advent calendar existed! And I’m sure there weren’t nearly as many amazing DIY ideas as there are today! 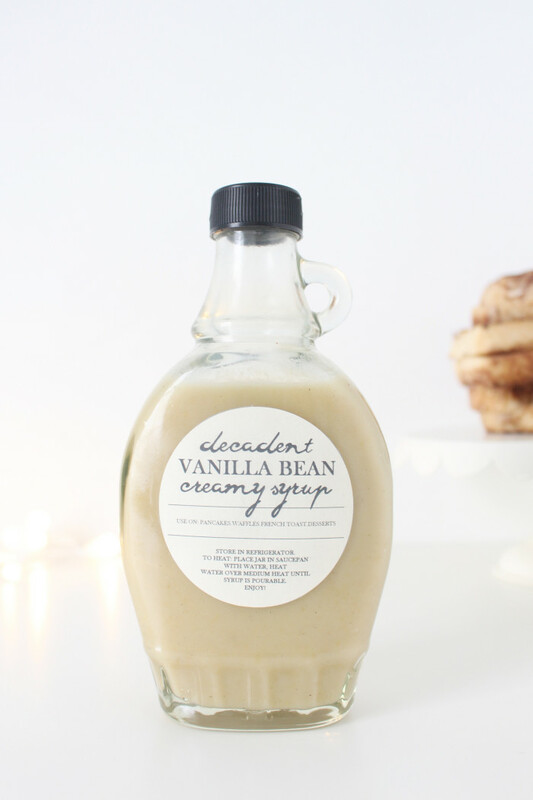 So I’ve scoured the DIY-net and found 25 of my most favorite and easy ideas ever! I love every one of these and I bet a lot of them will be new to you because a lot of them are new this year! They all range in easiness but I’ve included ideas on the more involved ones to make them even easier. Now get to it! 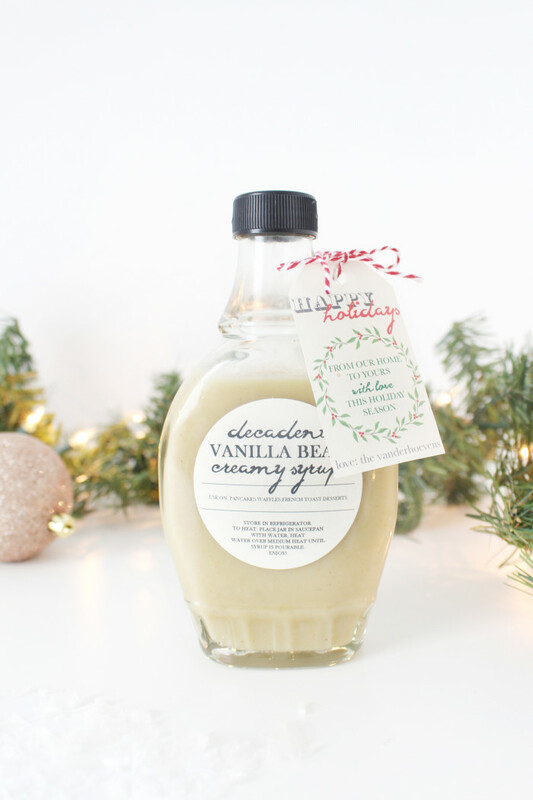 Your advents need to start in T-minus 6 days, which is time a plenty for each of these ideas! This year we are all about alternative Christmas trees. Nothing wrong with the traditional Douglas-fir tree of course but sometimes you want to mix it up a little bit! And if you are a fairly constant visitor to AJR you already know we have an extreme fondness for copper pipe (what can it not be used for?!). 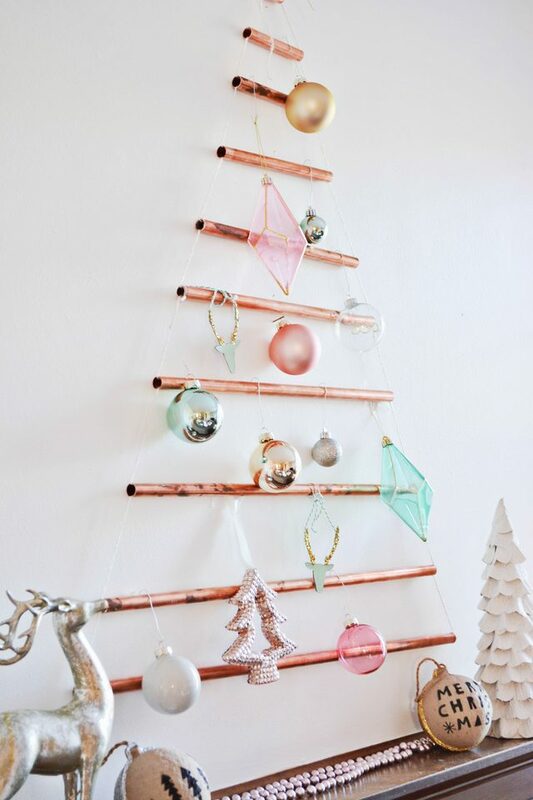 So when we were brainstorming ideas for a new take on the Christmas tree we immediately looked toward copper pipe and we love the modern look it has. 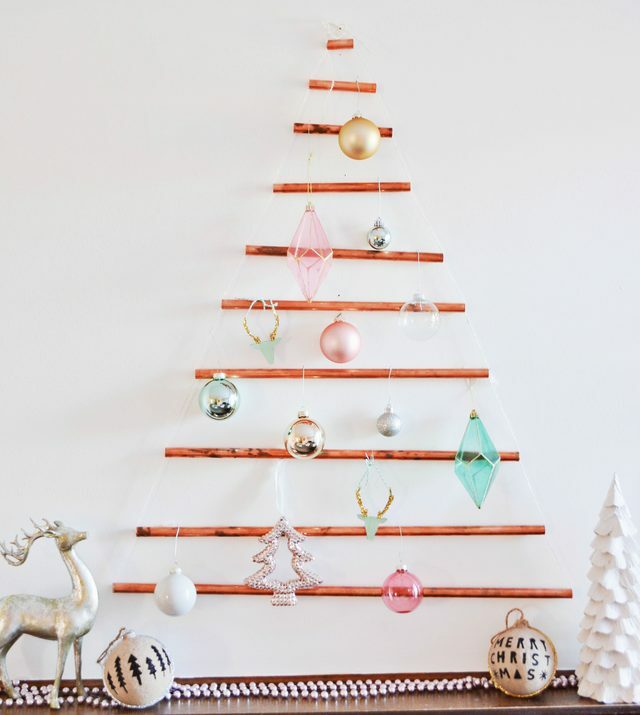 Plus, this tree is mounted on your wall so if you live in a small apartment or are just lacking space in general this is the perfect solution.